Friday, June 22nd, 2012 at 2:17pm. The fifth-annual “You Go Girl” trade show for charity took place at Frenchman’s Reserve in Palm Beach Gardens (below) and featured more than 50 exhibitors who offered everything from massages and health screenings, to snacks and tea tasting. 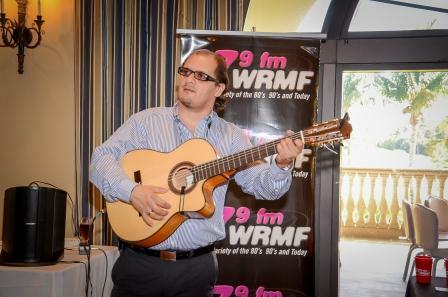 Live music was provided by Gyorgy Lakatos (above), and a raffle and a silent auction helped raise funds for the Ella Millbank Foshay Cancer Treatment Center at Jupiter Medical Center. Staff members at the country club were accommodating and supportive of the event, as were the residents and owners of Frenchman’s Reserve real estate, many of whom attended the event. Goody bags were handed out to the first 250 through the door.